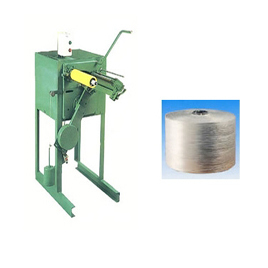 Multipurpose Combiner Winder(TN-12) - Taining Machine Industries Co., Ltd.
For further details, please click large photo. Pattern judgment device (Items 5, 6 are standard for cross cone winder). Suitable used for cotton, nylon, polyester PP/PE and roper. Easy operation, simple for maintenance, and nice looking appearance of shapes. The size of outer diameter, required can be adjustable auto-stop when winding up desire length. Needless to add the lubricant, no pollution. If you install the frequency inverter extra in the machine, it can be sdjust the rotational automatically.